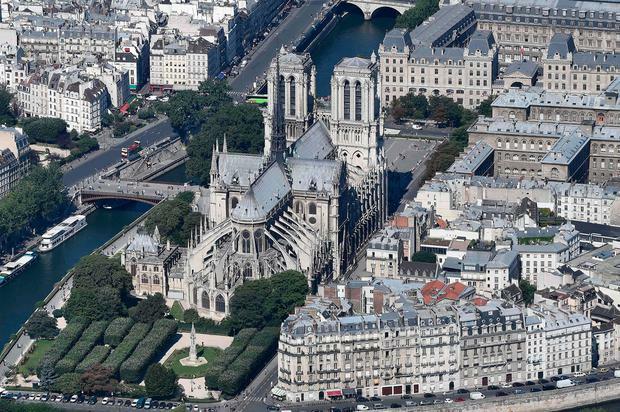 In the popular imagination, Notre-Dame has long been the most Gothic of churches. And, yet we owe much of its theatricality to Victor Hugo, whose 1831 novel was set in the magnificent cathedral. English speakers know it as 'The Hunchback of Notre-Dame'. Hugo's novel sparked intense new interest. A competition held in 1844 to renovate the cathedral was won by Jean-Baptiste-Antoine Lassus and the young Eugene Viollet-le-Duc, a passionate Gothic revivalist. The cathedral was revived with structural repairs, bestiaries of new sculpture and the spire we saw flaming like a Gothic torch yesterday evening. When, after 25 years, the architects' work was complete, Notre-Dame was deeply and movingly Gothic even though much of it was new. For all its venerable vaults, stained glass and flying-buttresses, the cathedral we know and love is as much a 19th century as a medieval creation. Spared serious damage in World War II, cleaned and renovated in 1963, from 1991 and again in recent months, Notre-Dame has not been allowed to decline again. But fire, however caused, has no respect for sentiment and much less for timber beams under high roofs, whether 19th century or medieval. Sentiment, however, will see Notre-Dame rise from the flames, not miraculously but by determined effort and through the deep pockets of the state. The big question for the future is how will the clergy, architects, experts, officials and the French public itself wish to see Notre-Dame restored? Little more than 80km from the Ile de la Cite, the new restoration of Chartres cathedral, Notre-Dame's contemporary, has prompted both Gothic horror and angelic delight. A sublime whole built mostly between 1194 and 1230, the stones of Chartres matured more subtly than the noblest French wines. The patina of centuries was painterly and poetic. All those generations of hands and bodies, tapers and candles, incense and dust. From 2009 the Monuments Historiques decided a wash, brush-up and makeover was needed. The garish effect of stained glass in brightly painted and gilded new walls, Adrien Goetz has written in 'Le Figaro', is like "watching a film in a theatre where they haven't turned off the lights". 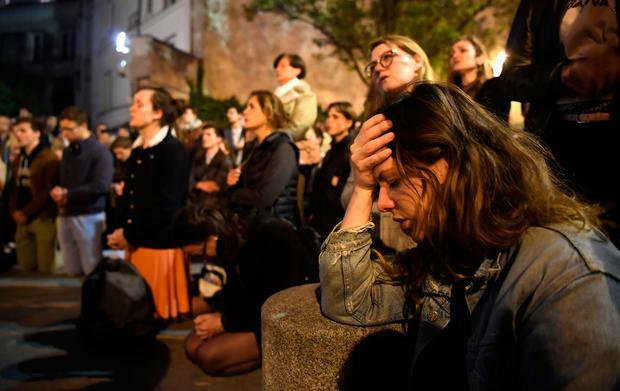 With luck, and prayers, Notre-Dame may escape Chartres' ritzy fate. Or maybe Paris needs a new Victor Hugo to champion the spirit and charred and splintered fabric of this towered, spired and gargoyled Gothic survivor.